The owners of this 1950’s ranch-style, 2,500sf house were now empty nesters and wished to renovate the home to meet their current needs. They wanted open space and lots of natural lighting in place of the existing closed rooms and small windows. In addition, they wanted to dramatically improve the efficiency to meet their sustainability concerns. The interior of the foundation walls was insulated to R-20 with 2lb closed-cell foam, with a new 2×4 framed wall spaced 1” away from the foundation wall to limit thermal bridging. The basement floor was insulated with 2” of expanded polystyrene foam board with an R-value of 8, followed by two layers of plywood. After stripping away the old siding, 2” thick polyisocyanurate foam boards were attached over the plywood sheathing, to eliminate thermal bridging. Then 3-1/2″ of 0.8lb spray foam was installed within the existing wall stud cavities to create an air-tight, R-28 exterior wall assembly with minimal thermal bridging (heat loss through the framing). In areas with a cathedral ceiling, the new 2×12 attic rafters were strapped with 2×3’s (to eliminate thermal bridging) and then 13” of 0.8lb spray foam was installed for a total R-value of 58. In areas where there is an attic above, the attic floor was first air-sealed with a thin layer of 2lb spray foam and then was covered by 16” of cellulose for a total R-value of 56. 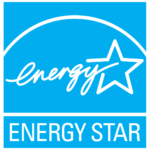 New Energy Star rated windows completed the envelope updates to this home. These aluminum-clad wood windows feature dual glazing, argon gas fill, and a low-e coating. Light tubes were added to the main floor hallway, which was dark and windowless. The change was remarkable. The house is heated and cooled by a two-stage, forced-air geothermal system, which also contributes some hot water for domestic use. Hot-water is provided by a hybrid electric (air-source heat pumps) water heater. Ventilation is provided by an energy recovery ventilator. Air filtration by a two-stage air cleaner. All ducting was installed in the conditioned basement which is inside the thermal envelope. All ducting is sheet metal and sealed with mastic. A 2.3kw solar photovoltaic system was installed on a south-facing roof area to generate electricity. It is estimated to generate 2,500Kwh/year. All toilets, shower valves, and faucets in the house were replaced with updated low-flow models. Pre-finished fiber cement siding was fastened to 1×3 firring strips which are screwed to the wall studs throught the polyiso foam board, leaving a rainscreen gap between the foam and the siding for drainage and durability. Low maintenance cellular PVC trim was used throughout for exterior trim. All cut-off’s were returned to the manufacturer for recycling. New resource-efficient, character-grade, oak flooring was installed throughout the main floor of the house. The flooring was finished with a water-based finish.